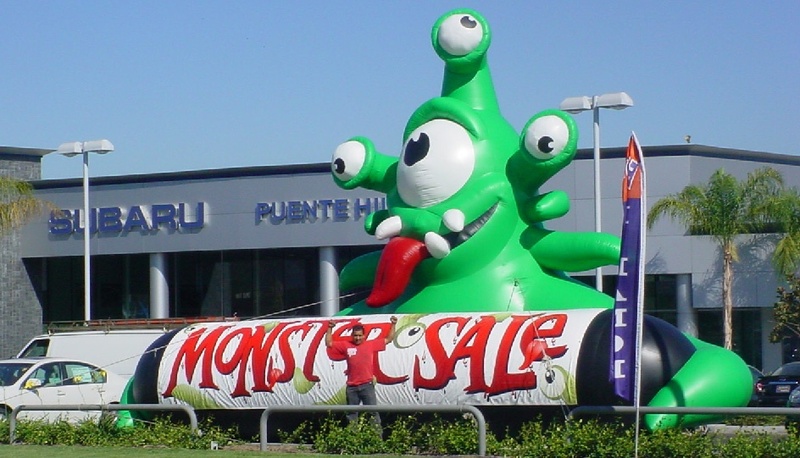 Whether you're decorating for an event or advertising a piping hot deal/sale, our giant inflatables are the perfect marketing tool. What if you need it just once? Inflatable rentals were made with that in mind. Purchasing one of these huge inflatable units can be expensive for a single use, so at a fraction of a cost you can rent one for a day, a week or as long as you need. The best part is that you can choose from a wide selection of inflatables in our inventory. With over 1600 different shapes, sizes and styles, we are sure to have something for everyone. 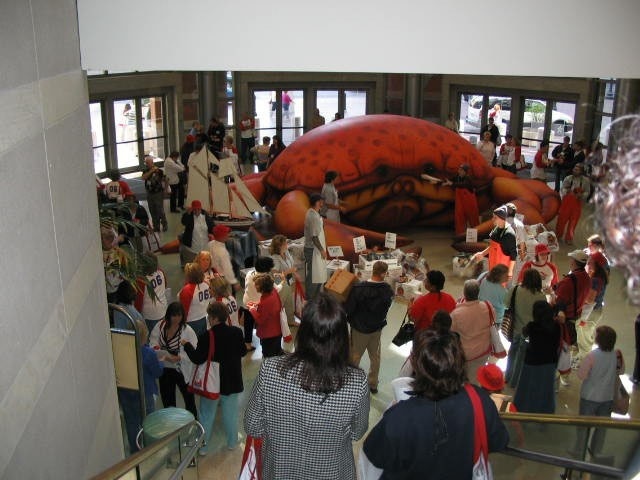 Decorate your next event with a large inflatable animal. Our inventory features anything from T-rexes to pigs and cows. Perfect for aquariums, museums and deep sea animal lovers! 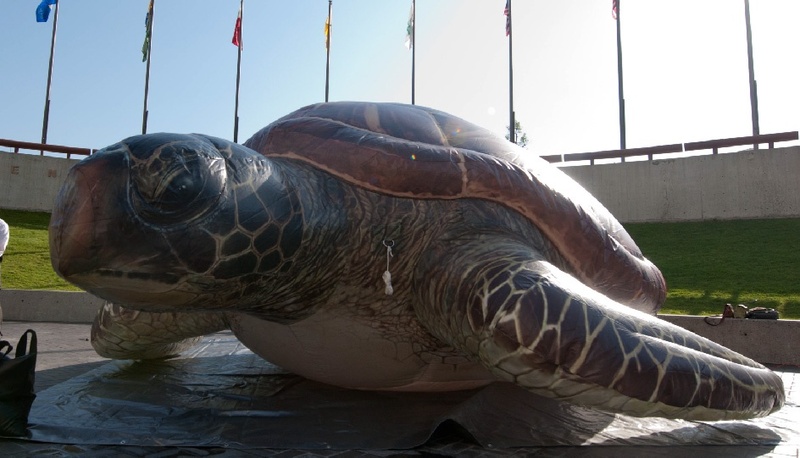 Our oceanic inflatables are great for both indoor/outdoor events. 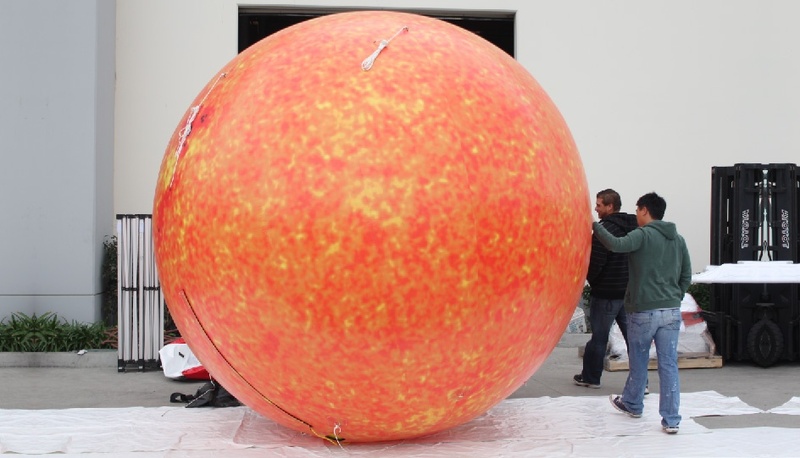 Showcase a large model of your favorite planet at your next event. We have all the planets in our solar system in our inventory, including Pluto. 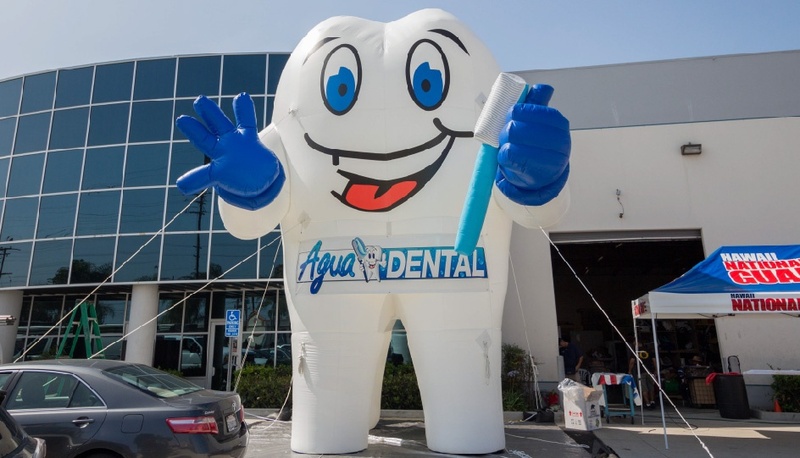 Choose from our wide selection of giant inflatable teeth! We offer many different sizes and styles for just about an event. 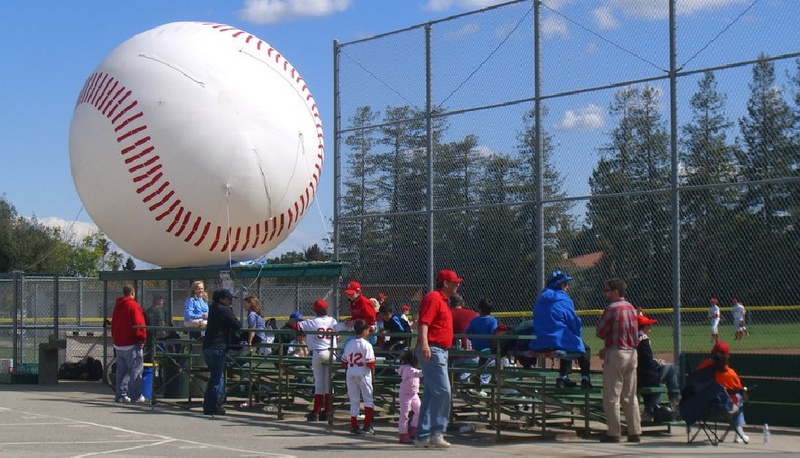 Decorate your next sports event with one of our sports inflatables! With our large inventory, we are certain there is something just for you. 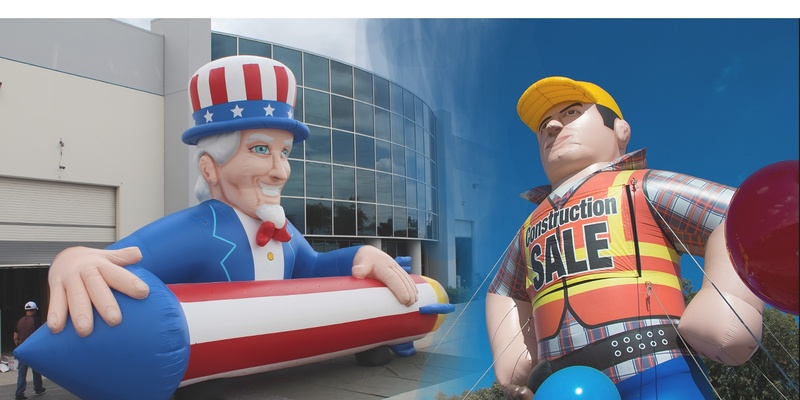 Adorn your building for Memorial Day, 4th of July or Labor Day with one of our patriotic inflatables. Perfect for your next sales event! Transform your next events atmosphere with bizarre, yet beautiful, inflatable designs from our selection of wonderland inflatables. Show some holiday spirit with incredibly large decorations. 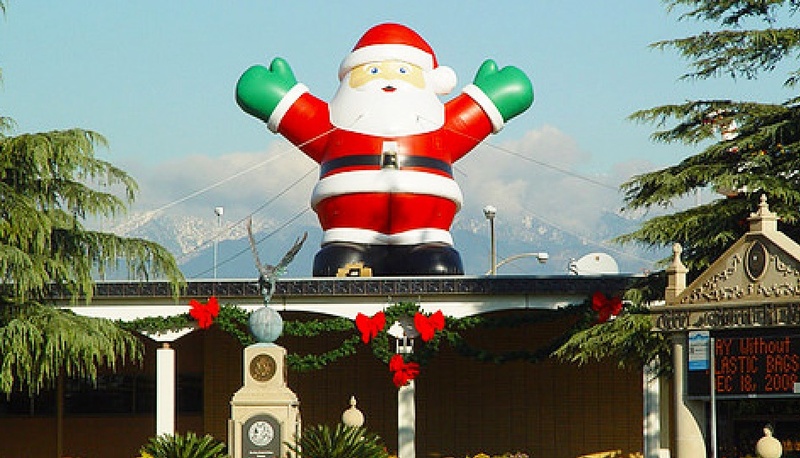 Choose from our Santa, Snowmen, and many other Christmas inflatables! Promote your monster sales in a whole new way! Or...Decorate your business, office or home with the perfect halloween design for you! Every single inflatable in our rentals inventory is available in just about any size you might need to fit your event like a glove! We have smaller sizes for ground displays and very large inflatables that are perfect for rooftops. We manufacture all of our products in Los Angeles, California. Every inflatable is we manufacture is heavy duty, without any exceptions! 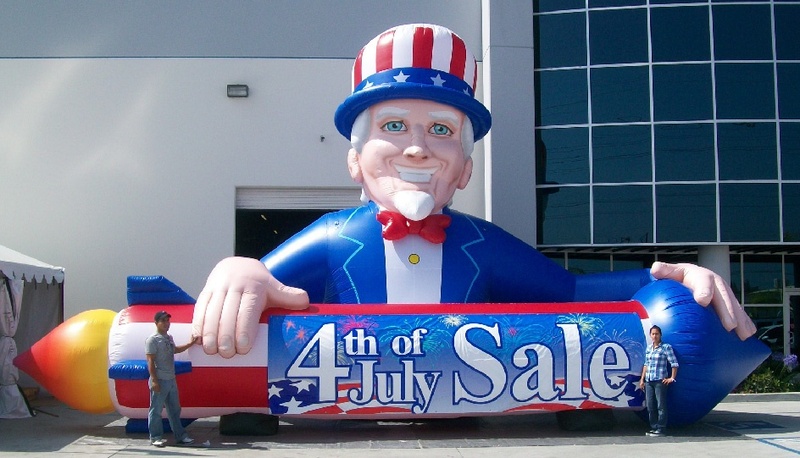 With over 1600+ inflatables in our inventory, we are sure to have something for everyone! If you do not see what you are looking for in our rentals inventory, we can manufacture a custom inflatable, just for you! We also rent inflatable structures ranging from tents to domes, arches and tunnels! One way to customize an inflatable is to get a custom removable banner made and attached onto the inflatable. Every inflatable we manufacture is compatible with the removable banner system. They are effective to display your message, details about your event or even to promote a sale! If renting an inflatable is not for you, let us know. 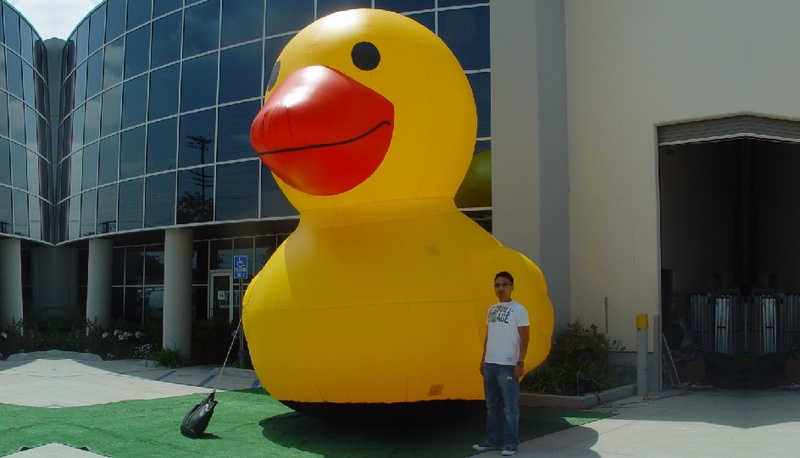 We can manufacture a custom inflatable from scratch without a problem. What if you liked something in our inventory but want it to be customized to represent your brand or organization? We can do that too! We can take the patterns of any of our standard rental inflatables and customize it to look just the way you want it to. If you need a certain size or shape, just let us know, we manufacture everything in house in our facility located in California.